In order to make the living room more colorful, many of us will consider the crystal lighting of exquisite atmosphere, but not every living room environment will be suitable for decorating all kinds of crystal lamps. Today we will take a look at how to choose crystal lamps to make the whole The living room environment is more chic and elegant. First, considering the different styles of crystal lamps, there are various lighting styles on the market, such as the crystal lamps designed in European style. These styles of lighting will look elegant and chic, and with some large living room environments. Compare, because the European style itself has the role of extended space. Considering the different layouts, the layout of the different living rooms is different. The overall pattern is the basis of harmony. Therefore, considering the living room whether to hang the crystal lamp, the overall layout effect should be considered, as well as the size of various crystal lamps. If it is not easy to grasp the lighting area of ​​various types, it is recommended to let the designer come to see or check the size of the living room. The crystal chandelier in the living room is now also a very popular product. Compared with other materials, the crystal lamp can look more brilliant. Under the illumination of the light, the crystal lamp will be more exquisite and refined, and it is also a lot of friends. 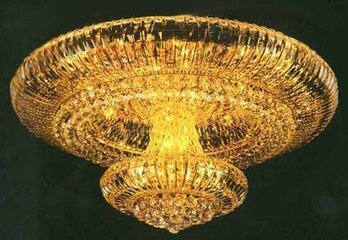 Praise and favor, just whether to hang the crystal lamp in the living room is also necessary to consider all kinds of details, and then there is some understanding of some brands, such as Op, St. Austria, etc. are very good brands, the reason why customers are recommended to choose the brand It is also because various brands can provide better design and can see the texture and characteristics of crystal lamps from different angles. I hope that after this introduction, everyone can have a better understanding of it.